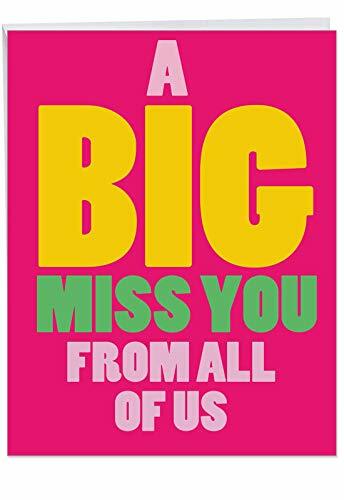 Card's inside greeting reads: We Miss You! 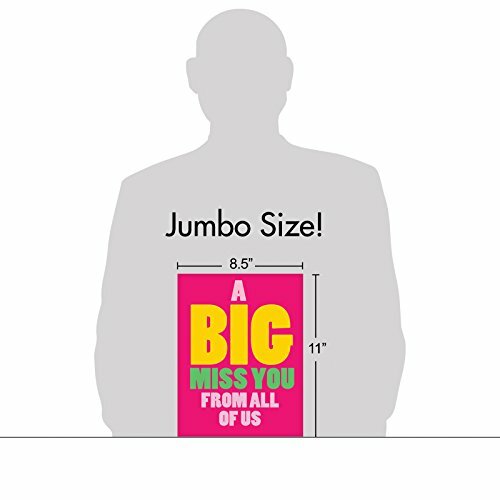 Big Miss You wishes require a Big 8.5'' by 11'' Greeting Card. 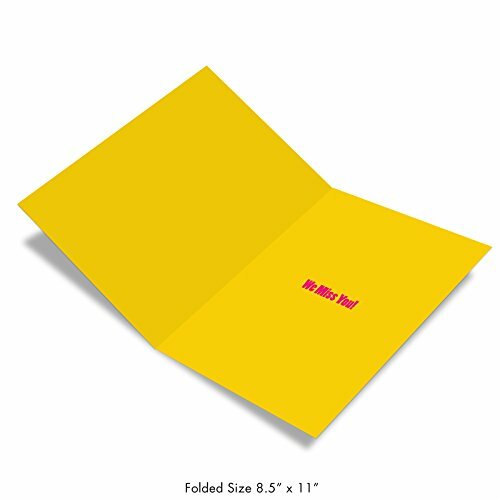 Our big, 8.5" x 11" greeting cards can be described as letterhead-size, extra-large, giant, huge or oversized, but one thing's for sure ... they leave huge impressions! 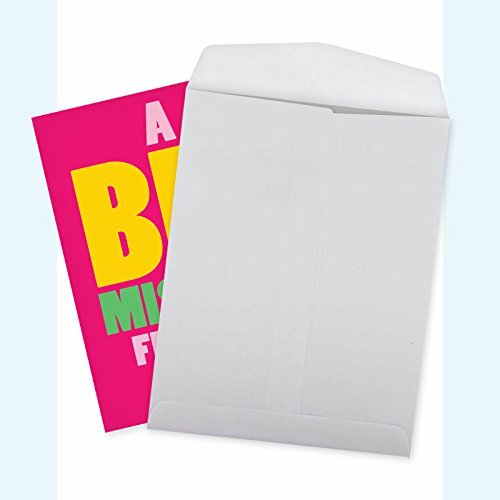 Perfect Hilarious stationery for writing a Miss You message and ships pre-folded in a protective cello bag with a mailing envelope for your convenience. With the wide selection of designs, styles, art and jokes on our cards, we have something for everyone including men, women, mom, dad, friend, boyfriend, girlfriend, husband, wife, bachelor, bachelorette, kids and coworkers. We even have something for your brother, sister, grandmother, grandfather and mother-in-law! Proudly Made in North America for more than 35 years, unlike our off-brand Chinese competitors! 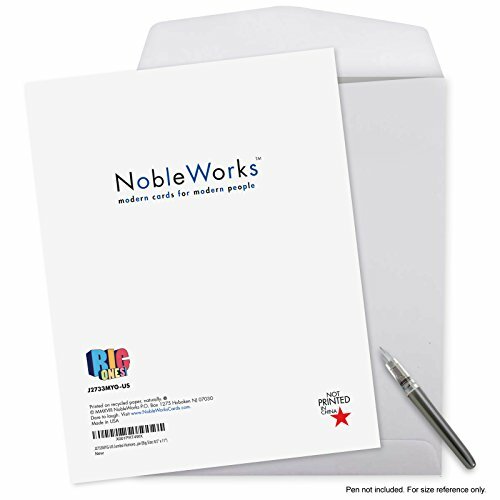 - Printed on recycled paper using eco-friendly, print-on-demand technology and premium, recycled, renewable cardstock drastically reduce waste and minimize environmental impact.